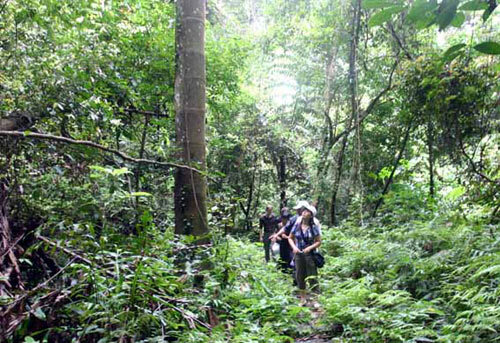 Geographically, Cat Ba National Park is located in Cat Hai district, Hai Phong city. 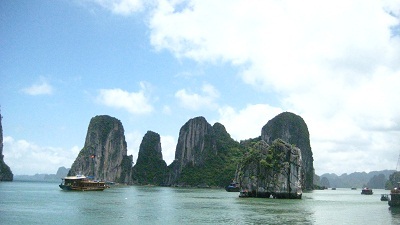 Belonging to Cat Ba island, the national park incorporates some of the small islands and marine water and covers 26,300ha, in which 17,300ha is on the main island and 9,000ha is of the adjacent inshore waters. 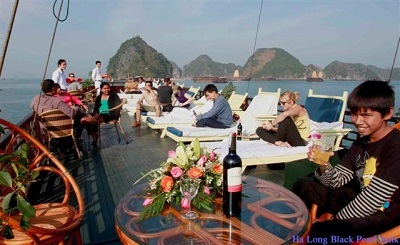 12h00: Arrive in Halong tourist wharf, gets on junk and enjoy welcome drink then check-in registration. 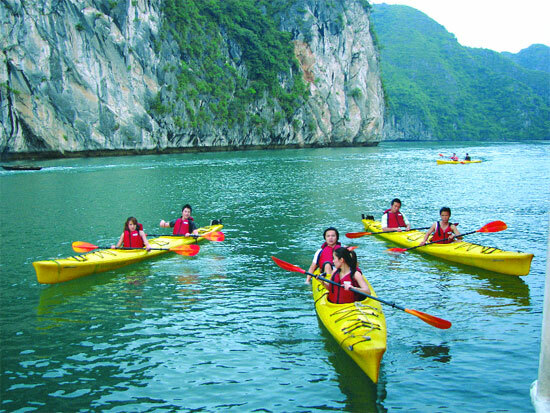 13h30: A fantastic cruise in Halong bay, visit Dinh Huong Island, fishing villages, Ga Choi Island, Dog Island, Sail Island, and explore the mystery of Sung Sot cave.16h00: Enjoying swimming, sun bathing at TiTop Island or climbing up the peak for a breath-taking panorama view of Ha Long bay. 6h30: Having breakfast. 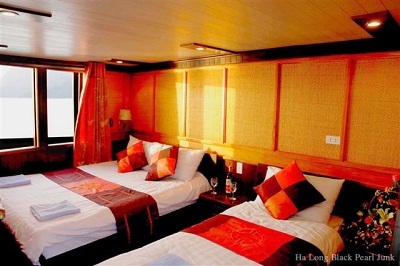 7h00: More cruising to Gia Luan wharf .Get on bus for Visiting Catba national park that is one of ten biggest national park in Vietnam ,Do walking 2 hours to see overview of Halong bay and Catba island .Transfer to Catba town .Check in hotel and have lunch at restaurant. 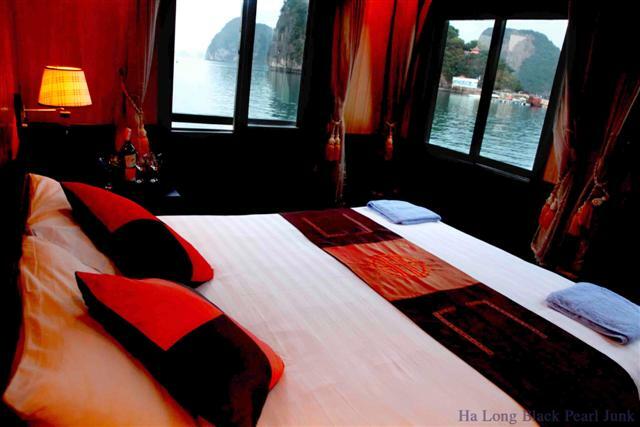 Afternoon free time for relaxing at Cat Co beaches,cycling to explore Cat Ba town ,or do whatever you want in Catba island.Overnight in hotel. 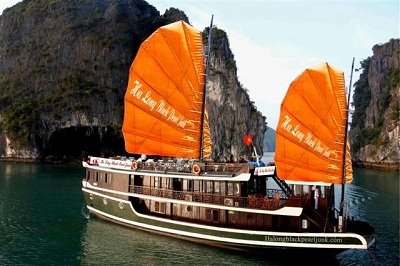 7h00:Transfer to Gialuan wharf for getting on cruise for Visitting , Con Coc Island, Con Rong island, Teapot island, Chopsticks island, Halong fishing village, Bai Tho mountain and Hon Gai surroundings – Halong city. 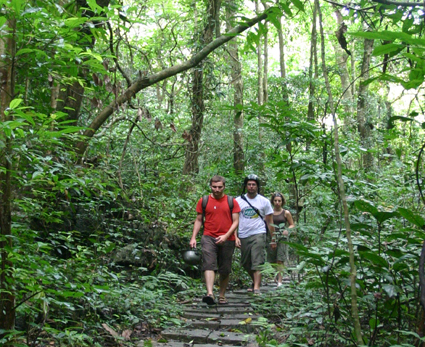 •Personal expenses such as shopping; telephone, laundry and bar bills etc.